Welcome to another episode of our monthly book reviews! 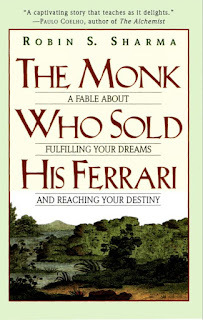 Today's review is on the book titled - The Monk Who Sold His Ferrari: A Fable About Fulfilling Your Dreams And Reaching Your Destiny by Robin Sharma. I must confess, the first time I came in contact with the book, I wasn't so interested in reading it because I was like what's my business with the monk who sold his ferrari? But then a friend knowing the kind of books I love to read, shared with me what he had enjoyed and gained from reading the book and I decided to give it a try of which I didn't regret. It's one great self help and discovery book! A fable - one that will certainly make you give some thought to your life, your goals, your dreams and how your daily habits will help you achieve those dreams of yours. The book also centers on guiding us into living a full and flourishing life. The author is a leadership expert and he shared a combination of life strategies in the book. He took the form of a fable about someone called Julian Mantle, a famous and high profile attorney who had a crazy schedule and set of priorities that centered mostly on money, power, and prestige. Julian Mantle is said to represent the values in our society and the fiction story is told from the perspective of one of his associates, who admires Mantle's great success and aspired to be like him. But Mantle had collapsed as a result of a heart attack because he didn't have a happy life and right after medications, he decided to drop out of the game, stopped working, sold his possessions and travelled to India to seek a more meaningful existence about life (purpose). But he later came back as a changed and transformed man. 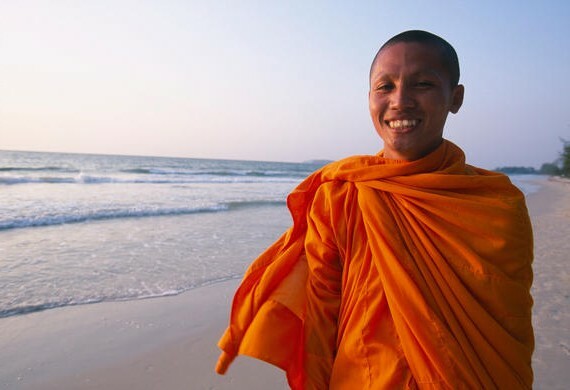 He gainened essential knowledge and lessons about life from some mythical Himalayan gurus in India who gave him very helpful mystical advice and practical tips to fulfill purpose. These advice's, habits to incorporate and virtues to embrace, he then shares with his former associate (a fellow lawyer) who aspired to be like him with the condition that he must forward the knowledge to other people. I would therefore be sharing some of the important advice's and quotes he gave in the book that I found really helpful and useful and I'm sure you would like them. Master your mind - Learn to focus and consciously elimante negative thoughts from your mind. Cultivate your mind and it will blossom beyond your expectation! Follow your purpose - Discovering and then realizing your lifework brings lasting fulfillment. Focus on your priorities and stay on track by focusing on the desired end goal. Practice Kaizen - Focus on continuous self improvement. Self mastery is the DNA of life mastery! Live with discipline - The more you nurture the embryo of self-discipline, the more it will mature. Recognize the importance of will power while forming new habits. Respect your time - Time is your most precious commodity and it's non renewable. Focus on your priorities and maintain balance. Live each day like it's your last! Selflessly serve others - By elevating the life of others, your life reaches it's highest dimensions. Practice daily acts of kindness and cultivate richer relationships! Live to give! Embrace the present - Never sacrifice happiness for achievement. Savor the journey and the gift of the present, live in the now! Stop waiting for things to get better or be perfect, enjoy things as they happen. - Always envision your dreams becoming a reality. Have a vivid picture of what you want to become! We can visualize everything that we want to be, do, or have. - Replace negative thoughts with positive ones by renewing your mind daily. - Take 10 minutes of your day to reflect and think of how to improve. - Set clearly defined personal, professional and spiritual goals, and then have the courage to act on them. - Find the positive in every circumstance. As you experience them, celebrate them and learn from them. - There are no mistakes - only lessons. See setbacks as opportunities for personal expansion and growth. The quality of your life is determined by the quality of your thoughts. The secret of happiness is simple - find out what you truly love to do and then direct all your energy towards doing it. Once you do this, abundance flows into your life and all your desires are filled with ease and grace. Success on the outside begins within. Do the things you fear, and the death of fear is certain. The quality of your life ultimately comes down to the quality of your contribution. We are all here for some special reasons. Stop being a prisoner of your past. Become the architect of your future! I really enjoyed reading the book and I will recommend it for anyone willing to change their life because I was highly inspired by the habits and virtues explained in the book. Kindly let me know below if you were also inspired! Hope you enjoyed reading this post as much as did writing it? 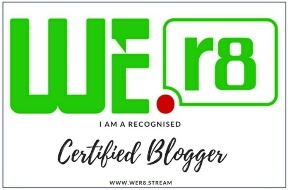 Don't forget to like, comment, share and subscribe to the blog. Now That You Are A Graduate: What To Do Next? Damilola Okeyoyin: My Experience Studying Abroad! AUGUST || #5 Quotes To Help You Get Through!